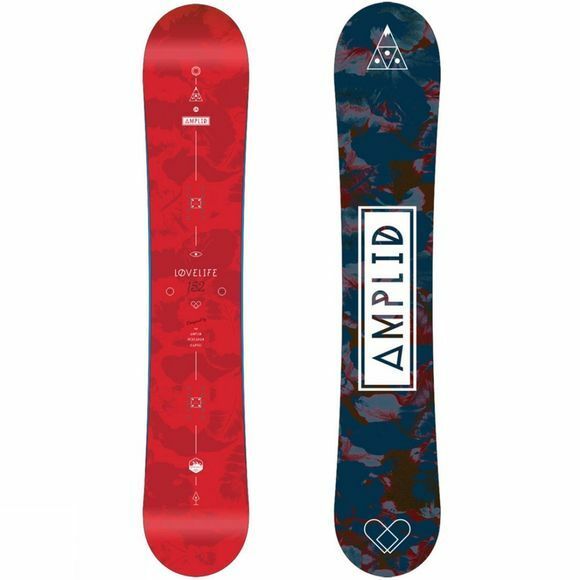 Amplid's LoveLife is dialled for conquering the whole mountain, with its directional shape and set-back stance for driving carves on rock-hard pistes. Hybrid V's softer waist makes carves of all shapes and sizes melt together and the camber in the tips launches ollies and adds a spicy kick to turns. From beginner to pro everybody loves this camber line. 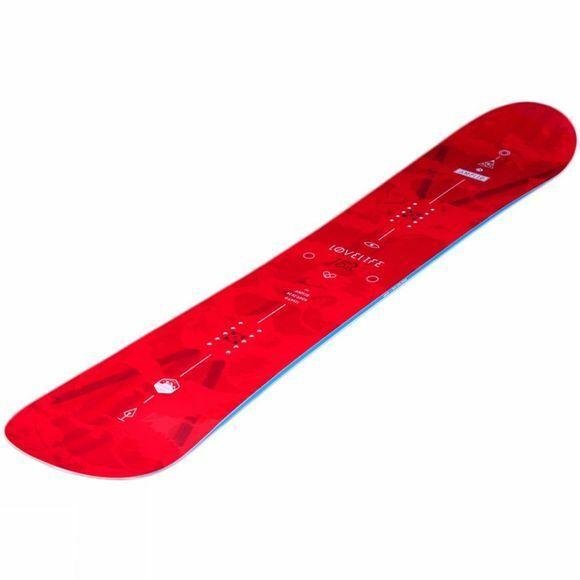 Basalt Suspension inch-wide strips run from the board's contact points to the bindings where they dampen vibrations to reduce rider fatigue in variable snow conditions, meaning longer days on the mountain.